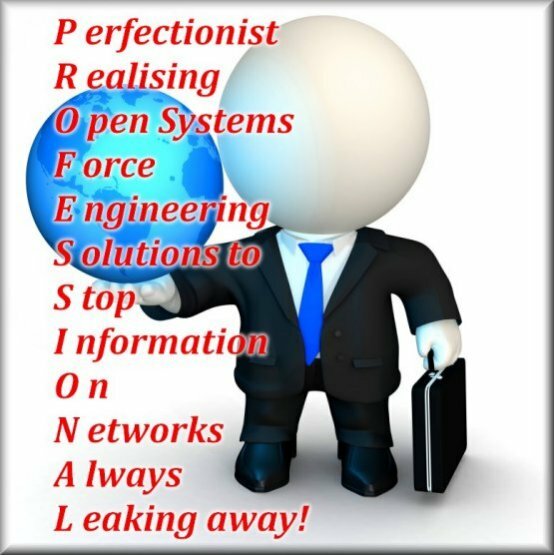 What is the definition of a professional? Is it in having gotten a certain diploma, or in a certain way of treating the people you are supposed to be helping? We can have grand dreams like the Architect in the movie 'the Matrix', but he could not even see the choices put before him. And wanting something to be perfect often fails to work. Open Systems may be perfectionism by one view, but it does not take into account the fact that such an open system does not have sufficient safeguards to avoid the leaking of information that should not be out there in the first place. Still, in the real world we need one another. Even though the architect may devise a perfect architecture, the designers need to make it into a proper design, the programmers need to then code it according to architecture and design, and the test engineers are needed to test it does what it is supposed to.